These days, it’s incredibly common to see sports teams wearing special uniforms to commemorate causes, holidays and events, and we recently wrote about NFL teams utilizing special colors to raise awareness for causes. 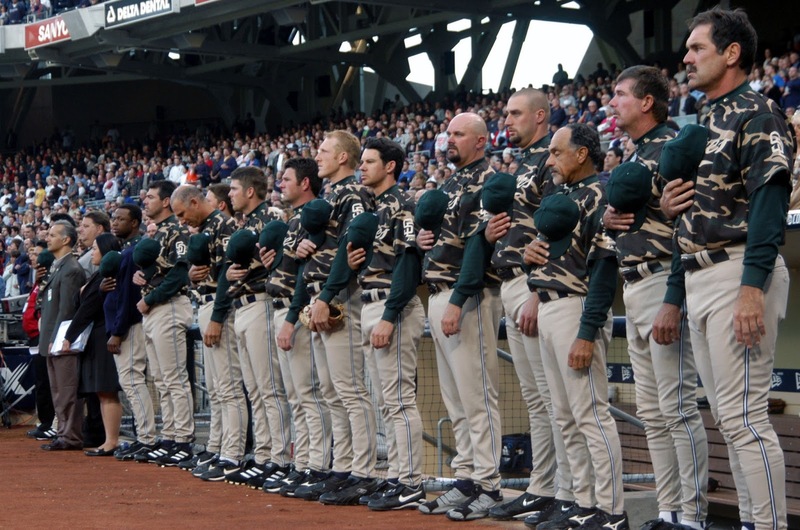 One of the more popular uniform tweaks across multiple sports leagues is camouflage-patterned uniforms to pay tribute to the armed forces. So where did this trend start? 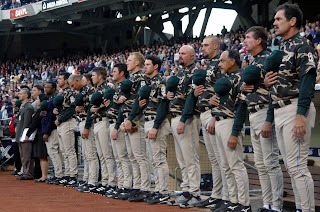 It’s difficult to pinpoint exactly when the light switch turned on and teams began wearing special camo uniforms to honor the military, but most would credit the San Diego Padres with beginning the trend. Home to a large port for the U.S. Navy, San Diego has long been proud of its naval tradition. It only made sense for the Padres to tip their cap to the U.S. Navy, and they’ve done so with regularity ever since introducing a camo uniform in 2000. The uniforms have undergone several variations, including desert storm tan, navy blue, and classic green. The camouflage pattern has also changed with the military’s shift to digital camouflage, which utilizes small squares instead of the more organic shapes found on camo in decades past. Several other baseball teams have begun including camouflage alternate uniforms, such as the Pittsburgh Pirates. 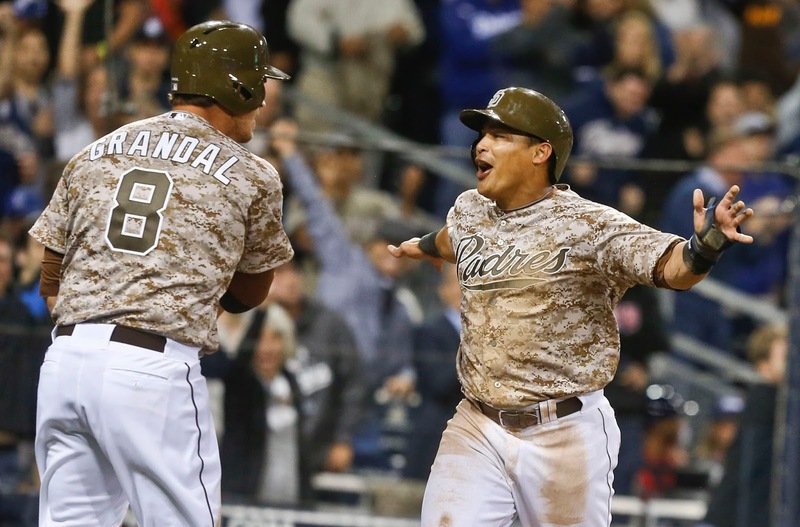 For having the most liberal use of camouflage on their team’s uniforms, MLB uses it the most infrequently of any major sports league. College and high school sports are where the real camo game lies. With Veteran's Day this weekend, we’ve compiled a few our of favorite ones from over the years. Kansas State University – Not one to sideline their bright purple color scheme, the wildcats used a purple digital camo pattern on their existing helmet design to pay tribute to the military. University of Southern Mississippi – You won’t find yellow and black camo on the battlefield, but you will find it on the football field. Here’s another case of a team keeping their color scheme while adding a camo element. University of Oregon & Georgetown University – How about a 2-for-1 usage of camouflage? The Fighting Ducks sidelined their usual yellow in favor of gray and white camo while the Hoyas implemented a navy blue camo that mostly matches their existing color scheme. University of Oregon – Back in 2013, the Oregon Ducks football team wore a uniform that was predominantly olive drab, complete with the backwards-facing U.S. flags on their right sleeves. It may not be camo, but it’ll do for our purposes. While not every team has worn full-fledge camouflage uniforms, there’s plenty of uniform tweaks and accents throughout the last decade. Which one has been your favorite? Do you like the camouflage look or wish teams would stick to more traditional designs? Let us know in the comments below!